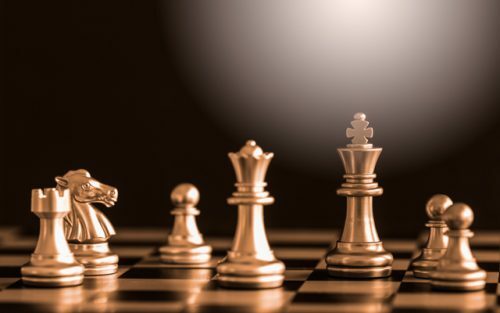 In our most recent event. 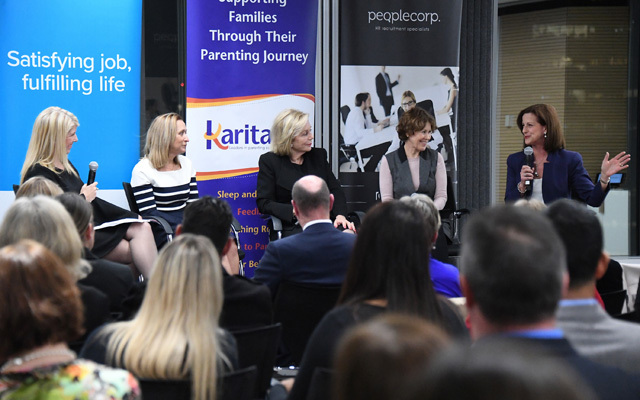 Peoplecorp in conjunction with the Moir Group, Karitane and Minter Ellison hosted a panel discussing the Benefits of Supporting Parents at Work. 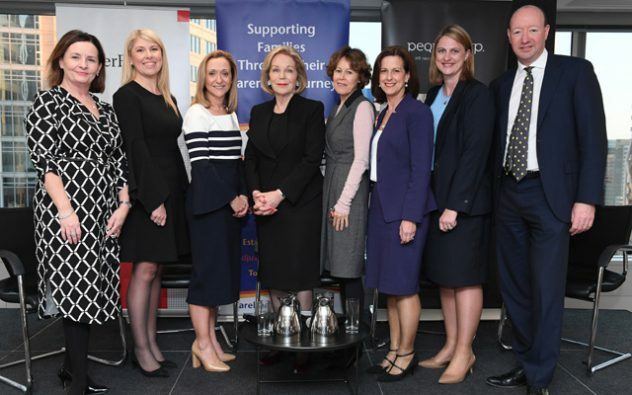 We were delighted to have Ita Buttrose who is the Patron to Karitane on the panel along with Karen Burns the Deputy Commissioner of the Mental Health Commission NSW, Sharlene Vlahos, Director Education and Business Development at Karitane and Mary Lyras, the Chief Talent Officer at Minter Ellison. Kristy Edser who is a Partner at Minter Ellison, chaired the discussion. This tied in nicely with Mary saying that at Minter Ellison they are very much of the opinion you need to be ”kind to yourself” and unfortunately a lot of the stress parents are placing on themselves can be self imposed. 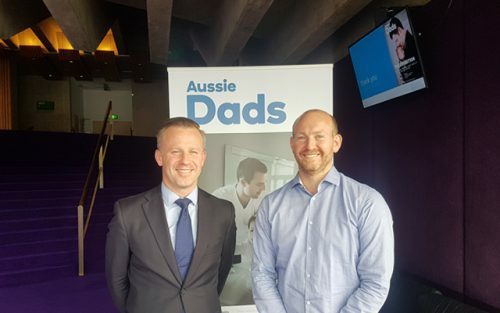 In summary it was agreed that there needs to be a focus on organisations to shift their cultures to understand what parents are going through and to be able to implement policies that work to support this. Thank you to the Moir Group, Karitane and Minter Ellison for their support with a great event.